Embrace the obscure. 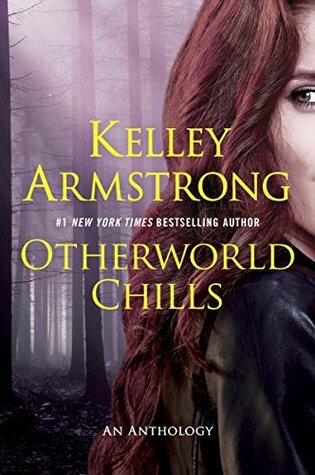 In the final installment of the Otherworld anthology series, New York Times bestselling author Kelley Armstrong once again opens the gates to the Otherworld. This collection of rare and never-before-published novellas and short stories brings the clever wit, dark twists, and intense suspense Otherworld readers have come to expect. Favorite characters return, secrets are revealed, and several important storylines reach their conclusions. Once again there is another collection of tales from the Otherworld series by Kelley Armstrong. Once again I rush around hoping to get a copy because I really miss this series and love this author. While I usually hate anthologies this is an exception to the rule because the stories are all by Kelley, are all from the Otherworld and are all short stories. No this isn't just a bunch of really short stories these are stories that actually have chapters because they are so long. This is a book you can get your teeth stuck into and enjoy. This author gives the fans the good stuff. This story is all about Nick. The threat of Malcolm is topic of the story but the romance aspect seemed to take front stage most of the time. This one was a little flat and a poor choice for the first story in the collection. I spent the whole story just hoping that things will get better because this one, while not boring, wasn't exactly exciting either. Nice to see things from Nick's perspective but sadly not as good as the other stories in the book. A tale about Hope and Karl and how they met. It felt familiar and I had the feeling throughout the story that I have read it before somewhere. Maybe I have. Despite that 'I've been here before' déjà vu I still read the story until the end. It was action packed and interesting but not the best of the bunch. I really like Jamie so this one was one of my favourite stories. Being tricked into taking part in a haunted house reality show, the necromancer manages to find more ghosts that expected. With Jeremy around for support it was a great read. I like their relationship and combined with the ghostly mystery I was hooked. Creepy and definitely putting the chills into the book title, this was definitely my favourite of the bunch. A vampire story. It seems the author tried to cover every character or at least every Otherworld supernatural. Cassandra and Zoe were always around somewhere but they never really got to tell a story like the other women. However this still wasn't their chance. The story was the shortest of all and disappointing. You can't have an Otherworld collection of stories with one about or featuring Eve Levine. She is one of the well known and prominent characters in the series and it was a done deal about her being in here somewhere. However the story wasn't the best of the bunch and not my favourite about her. It was ok but I wouldn't have missed the story, although I would have missed Eve, if this one had been left out of the book. So I am very sure I read this one before somewhere and skipped most of this story. A tale about Elena and Clay's twins and of course, as the title suggests, a puppy. A nice read and one that all fans of the series will appreciate. It is always great to check in with Elena and Clay. They really made the series and nearly everything revolved around them. The other characters that took up a lot of the series is Paige, Lukas and Savannah. So it was a nice surprise to have this story come in at the end. A good story and a good end to the book. It's all about pregnancy and may not be the best plot but it was a nice read and I loved catching up with them all. All in all this is a nice book that fans will appreciate and enjoy. I really would prefer more full length books in the series but I know that this is most likely never going to happen. It also sounds like this is the last time any of the characters will be seen again. Such a shame but it was an amazing series and one I will be re-reading sometime soon.